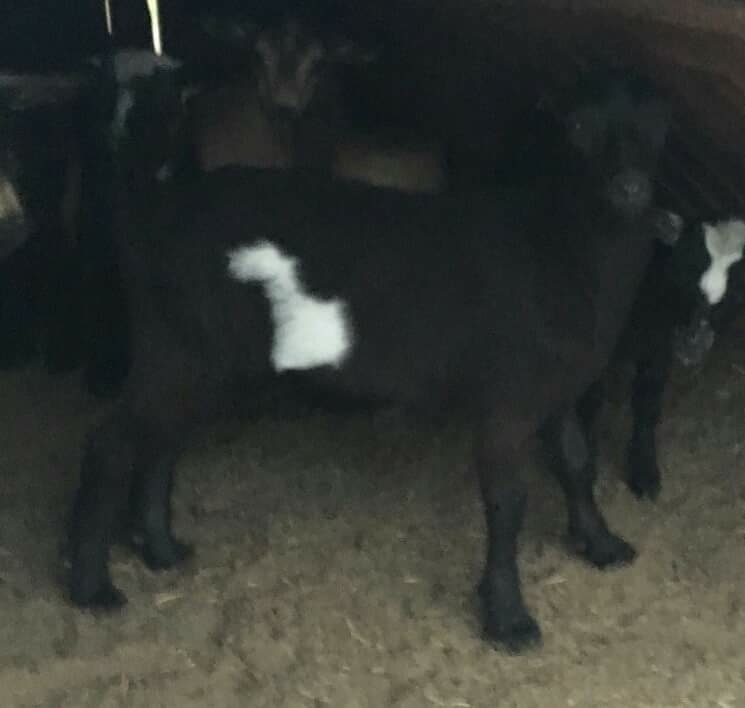 Maybe it goes without saying that I was thrilled when the breeder reached out to me and said she thought she’d identified a doeling that would be good for our situation — our situation being that we were looking for a “family milker,” as it’s called in the parlance. She sent pictures and we fell in love with this little girl — one of quadruplets — and we determined to take her brother, as a wether, as well (a wether being a “fixed” male). We came up with names, and we prepared to welcome them into the Caird Creek Wildlife Sanctuary and Farm. Turns out as she was getting the little doe ready for us, she noticed two extra teats — nothing that will likely cause her any problems in her life, but enough of an issue that she shouldn’t be bred. A responsible breeder will stop that genetic anomaly in its tracks. 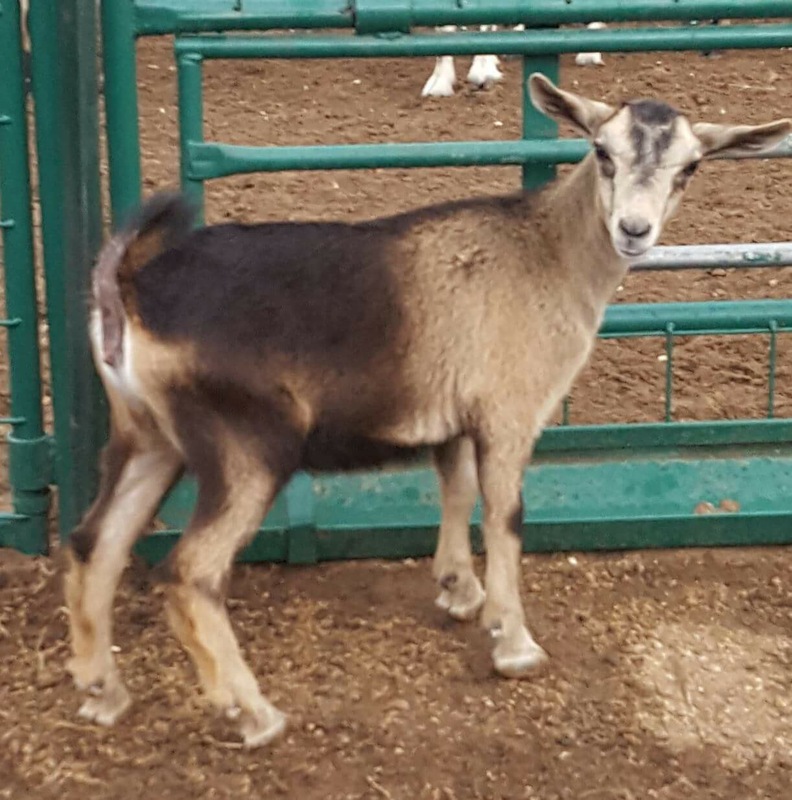 Thankfully, this just means our former-goat-to-be and her brother will be sent live with the breeder’s grandparents, who take on the “special cases” like this and, we were assured, they would be “thrilled to have her.” But what about us? 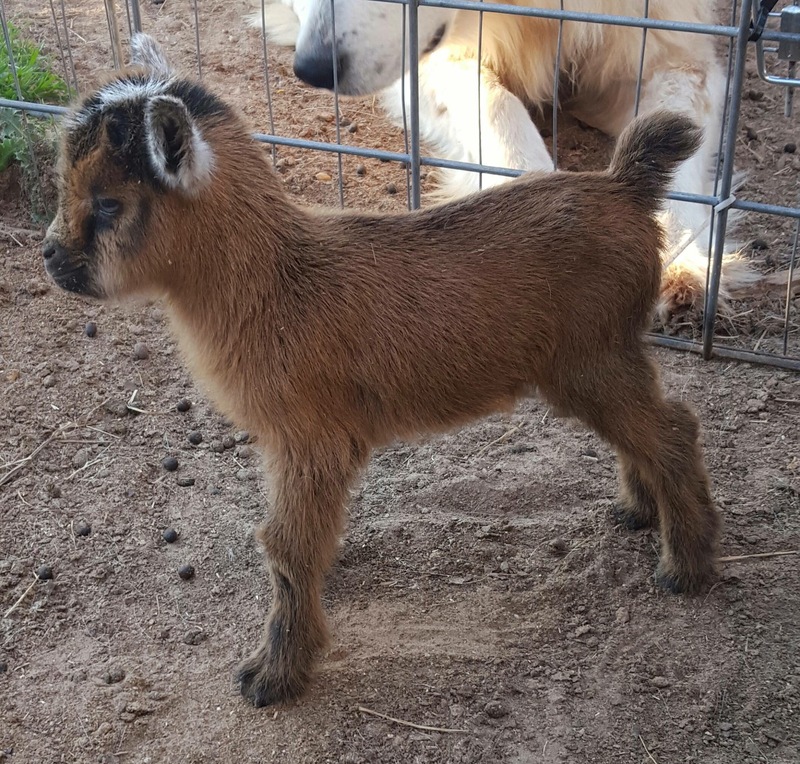 Thankfully, this just means our former-goat-to-be and her brother will be sent live with the breeder’s grandparents, who take on the “special cases” like this and, we were assured, they would be “thrilled to have her.” But what about us? We could either get a refund of our deposit, take the other two kids in the quadruplet set, or… a different option became a possibility. There was a “flat out dynamite” Mini LaMancha doe kid, whose mother produces a gallon of milk a day, that needed a milking home. A miniature dairy goat is basically a cross between a standard dairy goat (LaMancha, Nubian, Alpine, etc.) and a Nigerian Dwarf, with the goal of creating a high-productivity milker that didn’t eat as much, didn’t take up as much space, and wasn’t as hard to handle as a full-sized goat. I hadn’t really looked into them much, but, with this opportunity, I started to do some research. After much discussion, a lot of research and plenty of questions, we decided to go that route — taking both the doe kid and her brother as a wether. The Mini LaManchas, or MiniManchas or MMs, are generally a bit larger than Nigerian Dwarfs, but they’re still small enough to fit into the large dog house we purchased. I’m told they can be bred earlier (at a year, rather than a year and a half) than NDs, and the increased level of milk production would be very nice. Plus, there’s a possibility that they could be bred year-round like NDs — whereas standard dairy breeds are seasonal breeders. Plus, we’ve already found a “boyfriend” for her, for when the time comes. She’ll be able to go back to where she grew up and spend some romance time with an unrelated MM buck. We obviously don’t have any experience yet, but LaManchas are said to be very sweet, docile and quiet — the quietest of the dairy breeds. And they’re an all-American breed, as the breed was developed on the West Coast from descendants of Spanish goats brought over to Mexico by the Conquistadors. 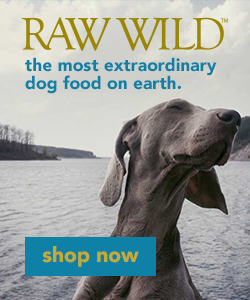 The most unique breed characteristic is their ears — or lack thereof. They are supposed to have tiny ears, called “gopher” or “elf” ears, though the doe we’re getting has the long ears of the Nigerian Dwarf — which is acceptable in early generations. I’m trying to develop a fondness for the weird ears, as they aren’t immediately endearing, so it’s probably good we start with a doe with standard ears. This pic is a bit blurry, and this one of her brother is dark, as well. But you can tell he has the little ears. I’ve asked for more pics, so hopefully there will be more to come. They’re a little younger than the ones we were originally going to get, so we’re not getting them for another couple of weeks. In the meantime, we’re putting everything in place — feeders, waterers, a little house, a covered area — to ensure we’re ready. Though, of course, we’ll never really be ready. But that’s not going to stop us.